The ultimate diving adventure! 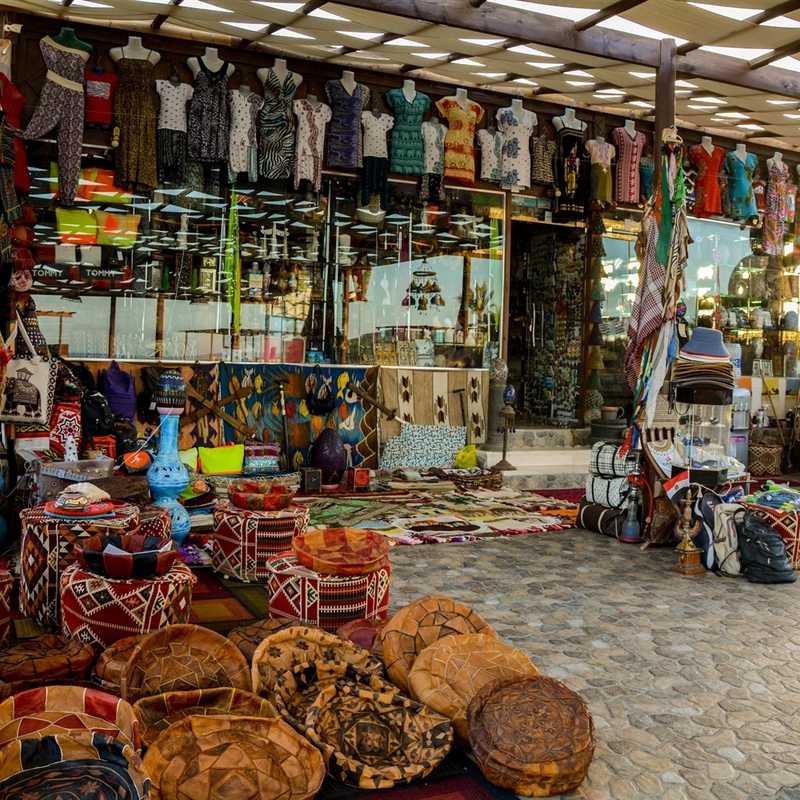 Enjoy the relaxed, laid back atmosphere of Marsa Shagra, a unique location the likes of which you will not find anywhere else in the world. Marsa Shagra offers an unlimited diving concept where you can dive as much, or as little as you like. 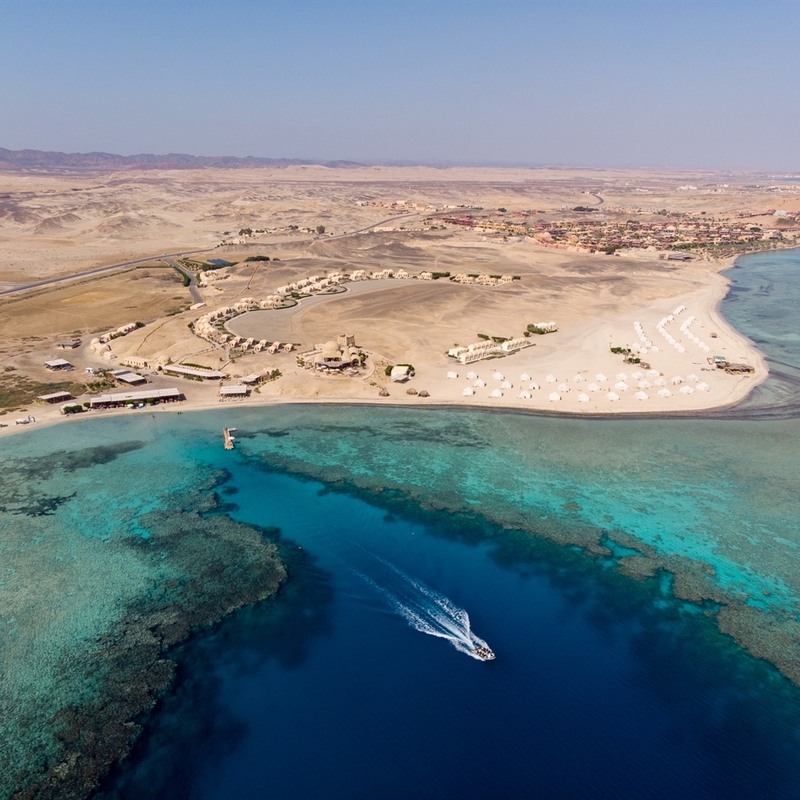 Established over 20 years ago, Marsa Shagra was discovered by Hossam Helmy and his Red Sea Diving Safari team whilst exploring the fringe reef on the Egyptian coastline between Safaga and Sudan. 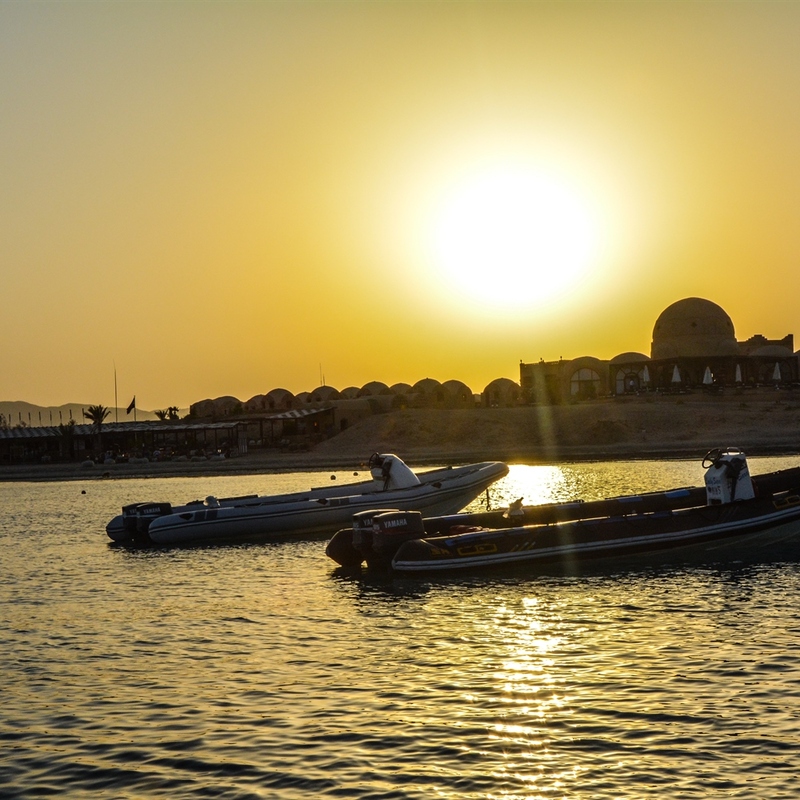 One of three natural bays, which also include Marsa Nakari Village and Wadi Lahami Village, these essentially put the region of Marsa Alam on the map. 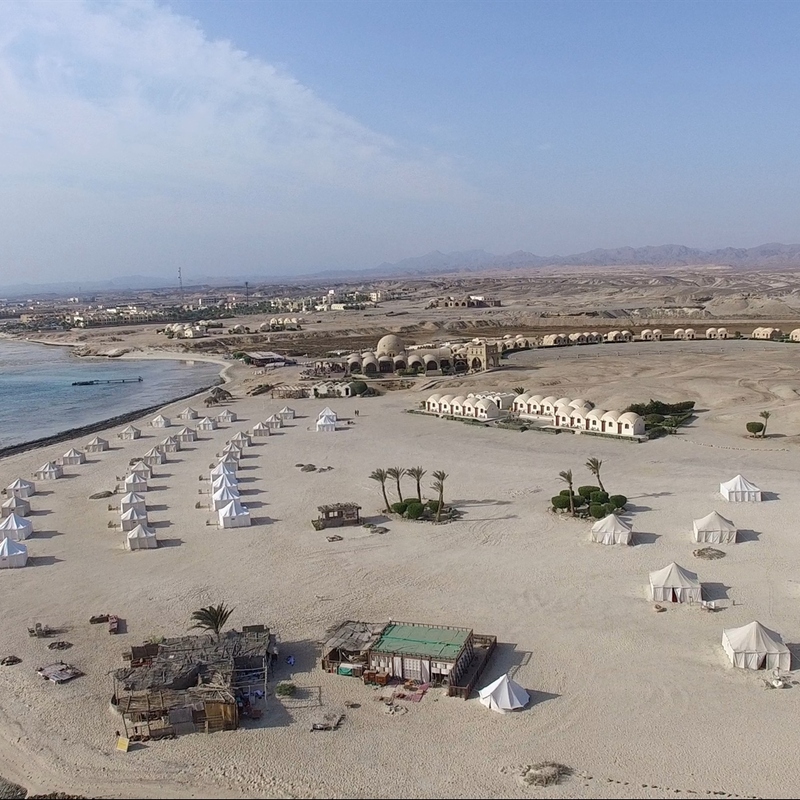 At Marsa Shagra, Hossam has endeavoured to promote sustainable tourism along with eco diving and his educational diving programmes are a continuation of his desire to ensure the long term future of this area. As well as unlimited access to Marsa Shagra's extensive and diverse house reef, this unique tour gives divers exclusive access to many other outstanding reefs including Elphinstone, Dolphin House Reef (Samadai) and Abu Dabbab, where if you are lucky you might spot the elusive Dugong. 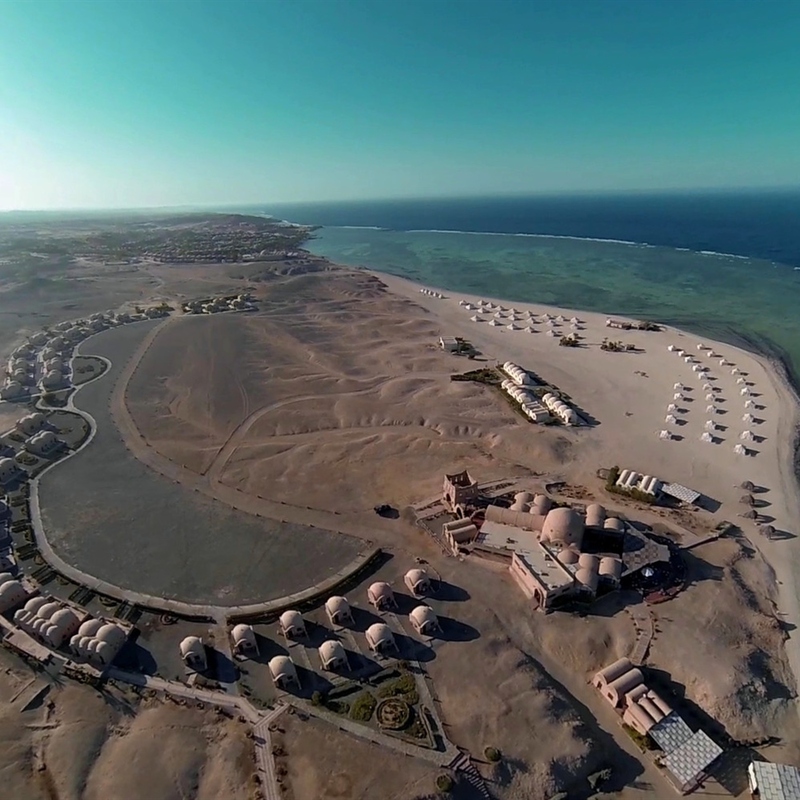 Our guests say these villages are the best value and all-round diving experience you will find in the Red Sea. 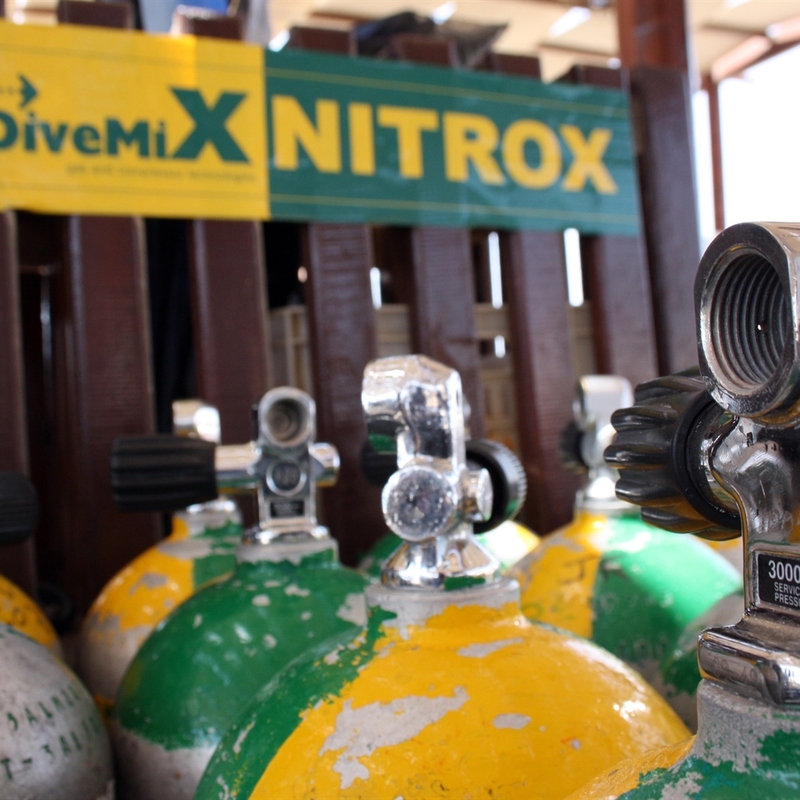 With the hyperbaric chamber and medical centre on site it is a perfect location for divers. 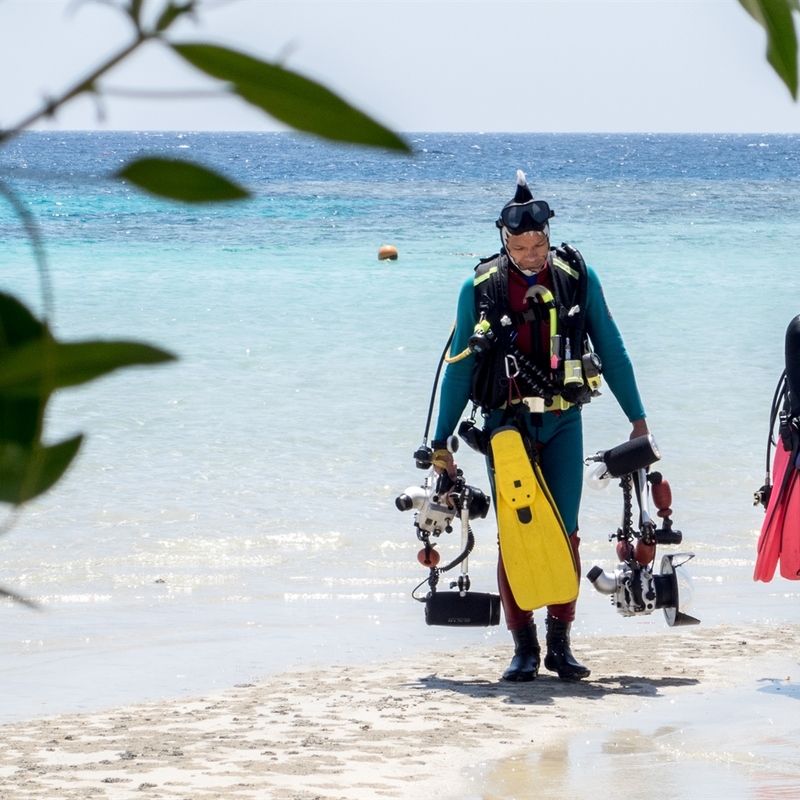 Marsa Shagra is the larger of the villages and is suitable for all levels of qualification from non divers to instructors – there really is something for everyone. Now we can also offer Technical Diving Courses at Marsa Shagra. All of the Oonasdivers team have extensive knowledge of all three villages and will be able to help you decide which of these stunning villages best suits you. It is also possible to combine Marsa Shagra, Marsa Nakari and Wadi Lahami in one trip, spending time at two or even all locations. 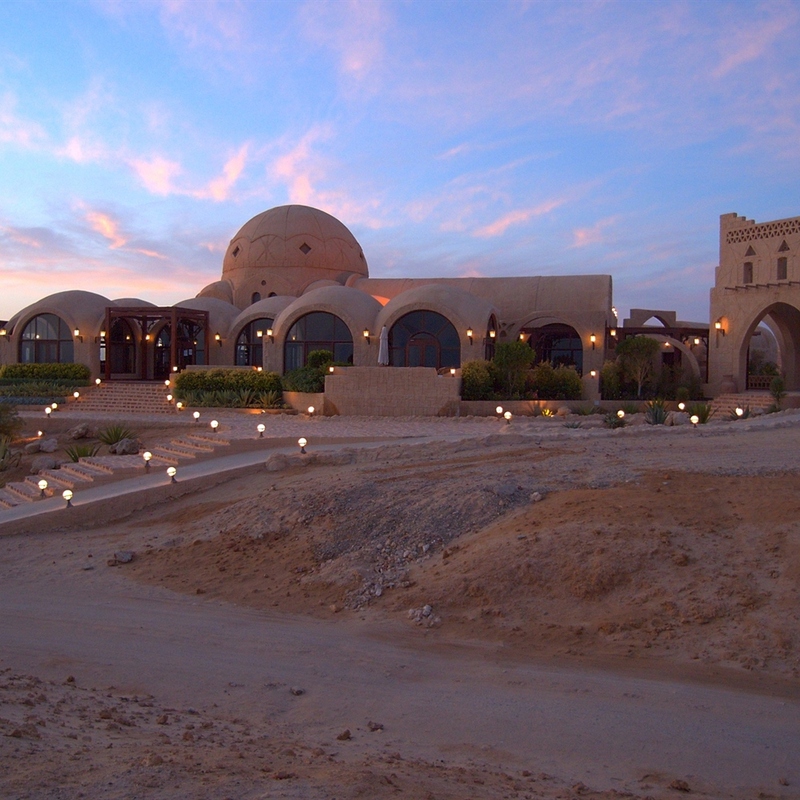 Marsa Shagra Village is a unique concept, superbly located to provide the very best diving in this southern area. As a guest you are completely free to dive at leisure and relax in one of the most peaceful of environments on the planet. Nearby facilities include ATM Machine, Kahramana Swimming Pool and Aqua Park, Supermarket, Pharmacy, Kite Surfing in Wadi Lahami. 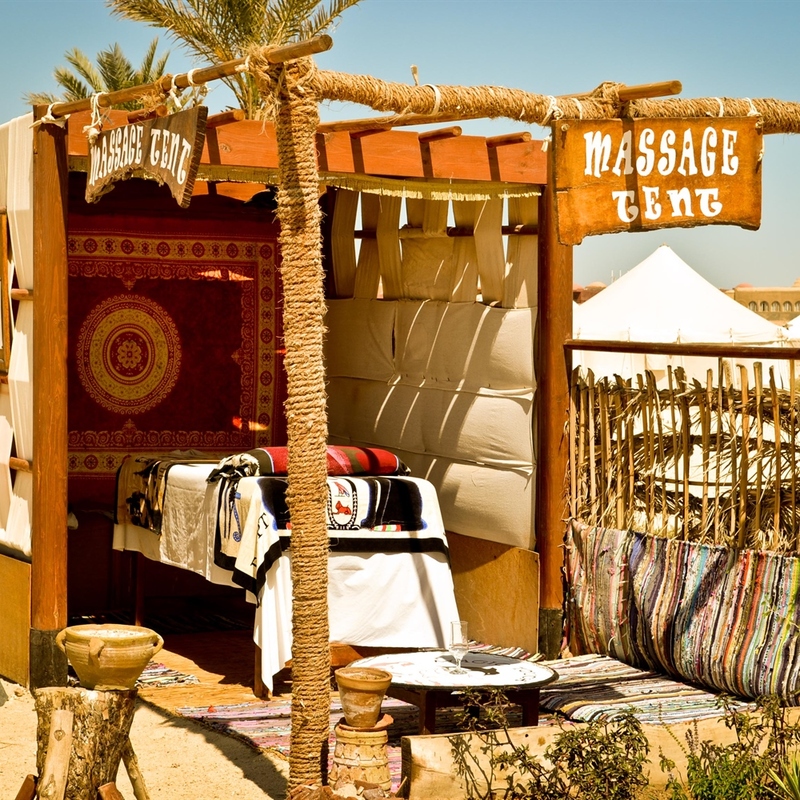 Enjoy a relaxing massage in front of the sea. The professional masseur offers you a variety of therapeutic massage sessions: 30 min "Foot & Head Relax" / 60 min "Back/Neck & Feet Relax" / 60 min "Hot Stone Massage" / 90 min "Body Relax"
Guests staying for a minimum of 4 weeks consecutive or longer will receive a discounted price on accommodation and diving! This offer is valid for stays at Marsa Shagra, Marsa Nakari and Wadi Lahami, or a combination of villages. Prices start from £1100 per person and include flights*, transfers, accommodation in a Beach Safari Tent twin share, full board and 20 days unlimited diving. *Flights prices and accommodation may differ depending on duration, location and time of year..
Give us a call on 01323 648924 or drop us a line at info@oonasdivers.com and get your extended holiday booked! 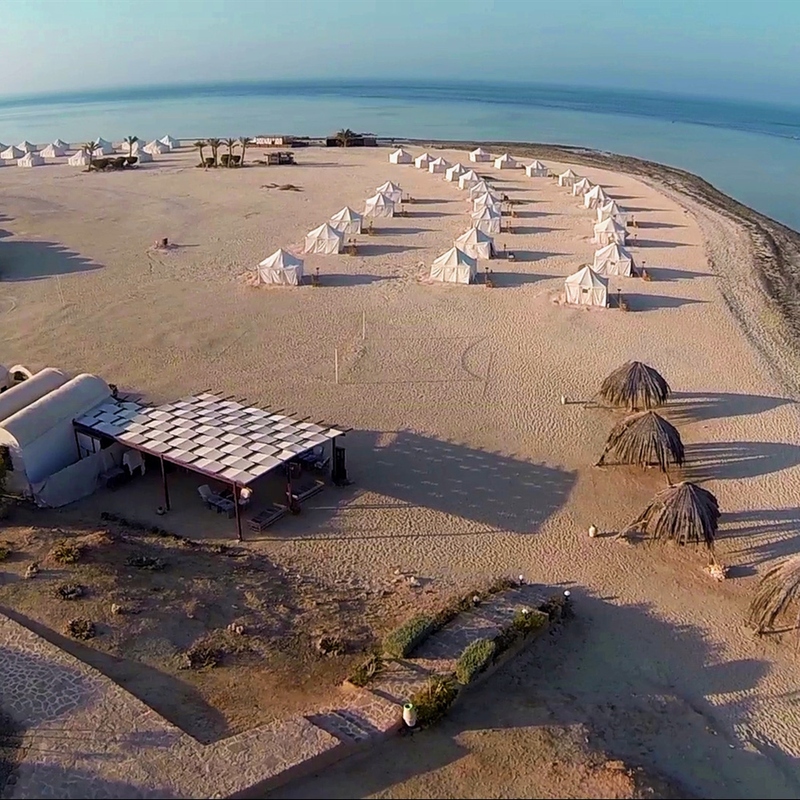 The Tents are one of the village hallmarks and an exciting experience of how the Red Sea Diving Safari concept all began. The Tents are on the beach-front and the interior is 3.5x3.5 meters with hand-made furniture, lighting, electricity outlet and a seating area just a few meters from the shoreline. This accommodation is available with 2 single beds and share a communal bathroom facility. 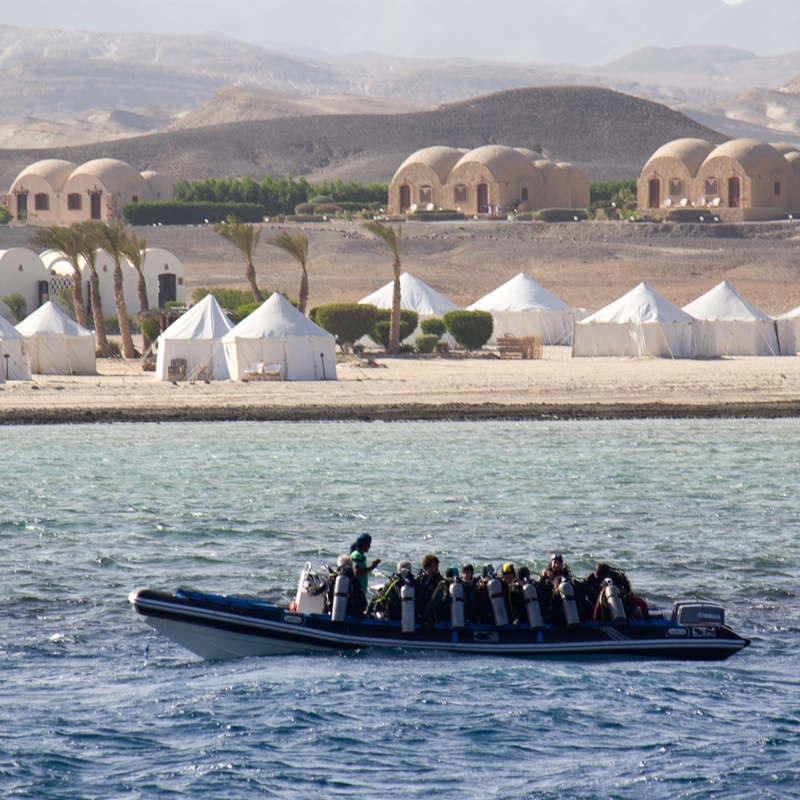 The Royal Tent is the most popular accommodation option and an integral part of Red Sea Diving Safari's minimal impact concept. The interior is 5x5 meters and well furnished with a minibar, fan, bean bag chairs and table, and a seating area just a few meters from the shoreline. Royal Tents are available with a double bed or two singles and share a communal bathroom facility. The Huts are simple, dome-roofed rooms set on the beach, slightly back from the shoreline but offer uninterrupted sea views. They feature two single beds, bedside table with a lamp, a wardrobe, and a fan. The Huts share a communal bathroom facility and shower towels are available if needed from the reception. Beach towels can be rented for a fee. The Deluxe Chalet with air conditioning is the finest room standard and has terraces on either side, one overlooking the spectacular mountains on one side and the Red Sea on the other. The Deluxe Chalets are 4x6 metres, offer either a double bed or twin beds, ensuite, wardroves, side & dressing table. Towels are provided for showering only. 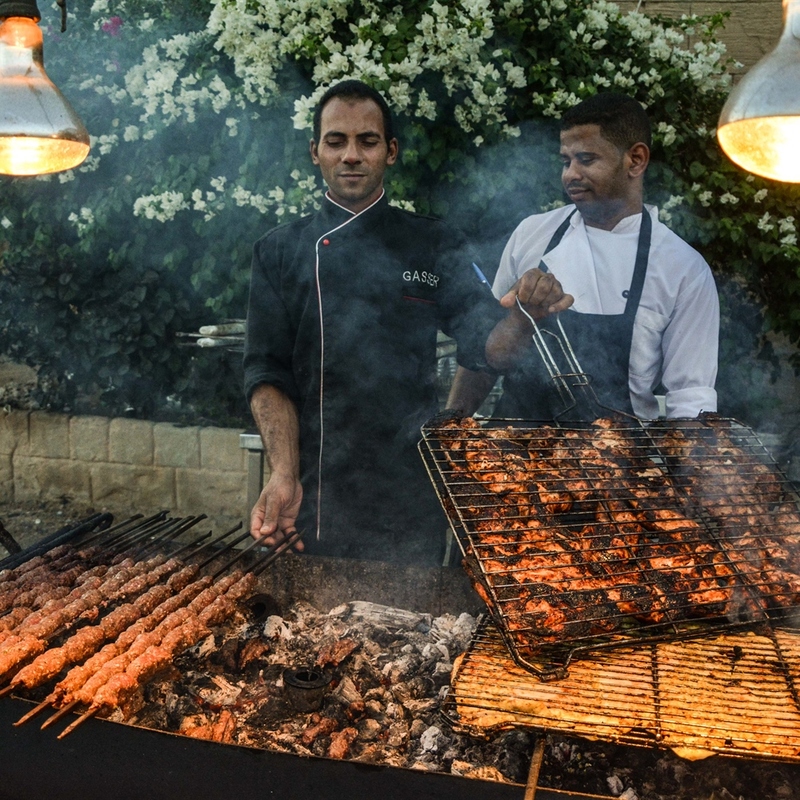 Marsa Shagra's restaurant offers a wide choice of culinary delights to meet with everybody's taste and palate. A lavish open buffet is served for breakfast, lunch and dinner. The restaurant also offers alternating theme nights where guests can enjoy different cuisines every night. All of the meals, plus freshly baked cake each afternoon, are included within your package. Tea, coffee, water and bottled soft drinks are also included. Beer, wine, fresh juices, speciality teas and coffees, ice cream, chocolate and crisps are not included in the package and will be allocated to your room by name, signed for and settled at the end of the week during check out. Vegetarians and other special dietary requirements are extremely well catered for. Please do let us know in advance regarding your requirements. The restaurant has a welcoming ambience and an outdoor terrace furnished with natural bamboo artwork. 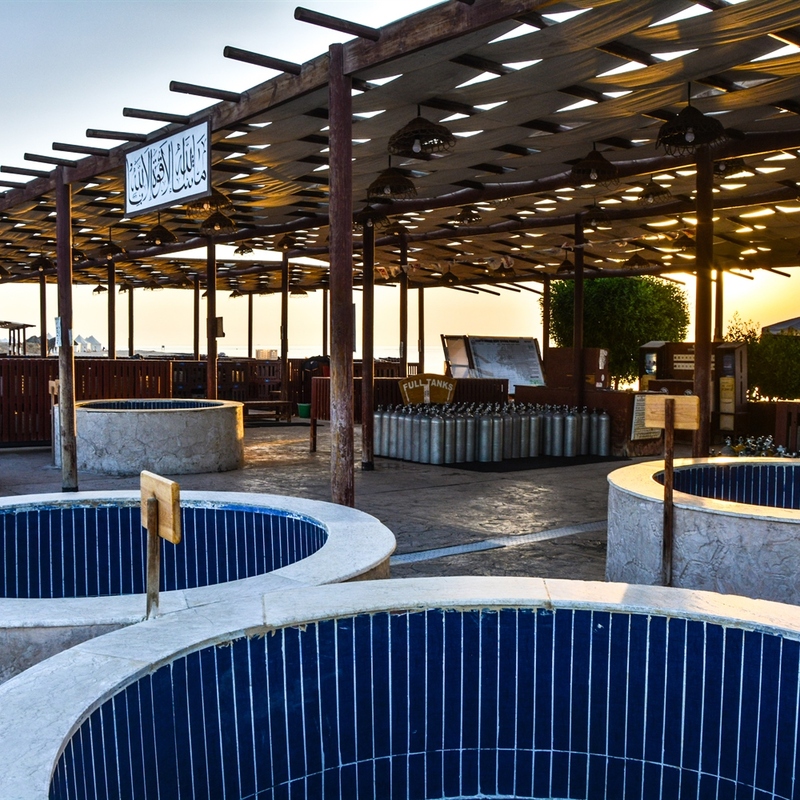 The terrace overlooks a wonderful panoramic view of the tents, desert and the sea, you can enjoy a magnificent view of the sparkling water under the sun during the day and an unforgettable white moon shine over the black night water during dinner. If you're lucky, you can see the dolphins jumping out of the water during your breakfast, it will take your breath away! The cafeteria team will provide you with all inclusive soft drinks, water and tea and coffee from 0530h - 2400h. In order to support efforts to be as environmentally friendly as possible and reduce plastic output, guests will receive one complimentary regular bottle of mineral water that can be refilled at any of the dispensers throughout the village. Alternatively to show support for this project, guests are invited to purchase an RSDS branded cooler bottle. Further bottles of regular bottled water can also be purchased at the cafeteria (€2 small – €3 large). The cafeteria also serves other beverages, snacks, and item such as; specialty coffees (latte, cappuccino, espresso etc. ), diet drinks, beer, chocolate, crisps, ice cream, souvenirs, etc. These items will be billed to your cafeteria list and you pay them at check-out. The cafeteria also sells small souvenirs, toiletries, and other items. If you can’t find what you are looking for in the cafeteria please ask the reception to drive you to one of the local markets. They usually accept foreign currency but it is a good idea to have Egyptian pounds just in case. 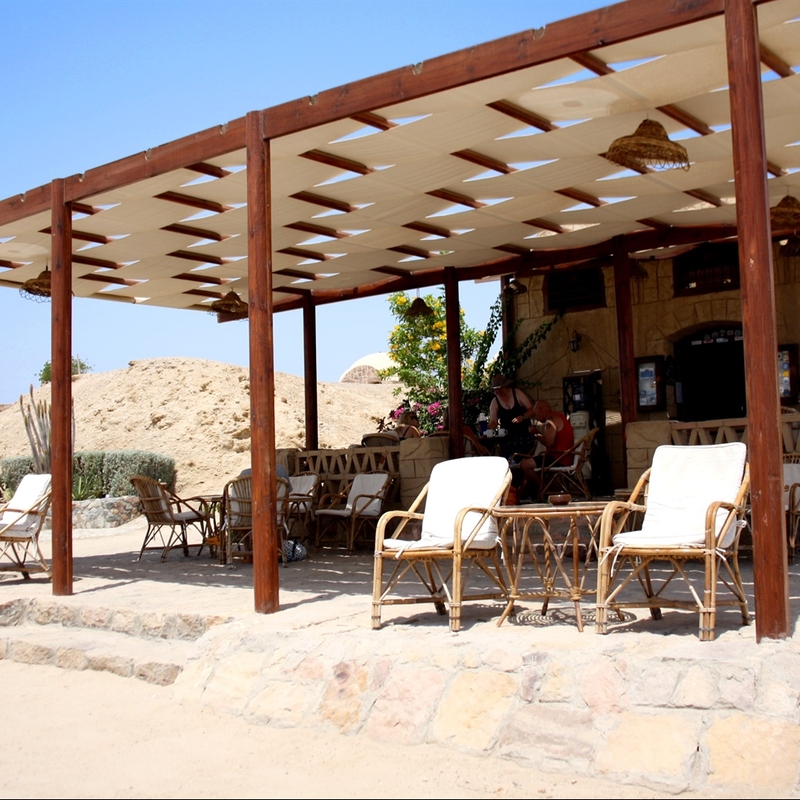 There is an intimate Bedouin lounge right on the beach where you can enjoy traditional drinks, wine, local beer and Sheesha (water pipe). This is the perfect alternative to loud and crowded hotel discotheques - you can simply enjoy a relaxed and calm evening with your family and friends right on the beach. The lounge is just near the royal tents. We can arrange direct flights from Gatwick to Marsa Alam each Wednesday and Thursday and from Birmingham on Mondays. It is also possible to fly from Gatwick into Hurghada on a Monday, Tuesday, Friday and Saturday from Manchester on a Monday, Tuesday, Wednesday, Friday and Saturday, and from Birmingham into Hurghada on a Monday, Wednesday, Friday and Sunday. The flight to Marsa Alam or Hurghada normally takes around 5 hours. 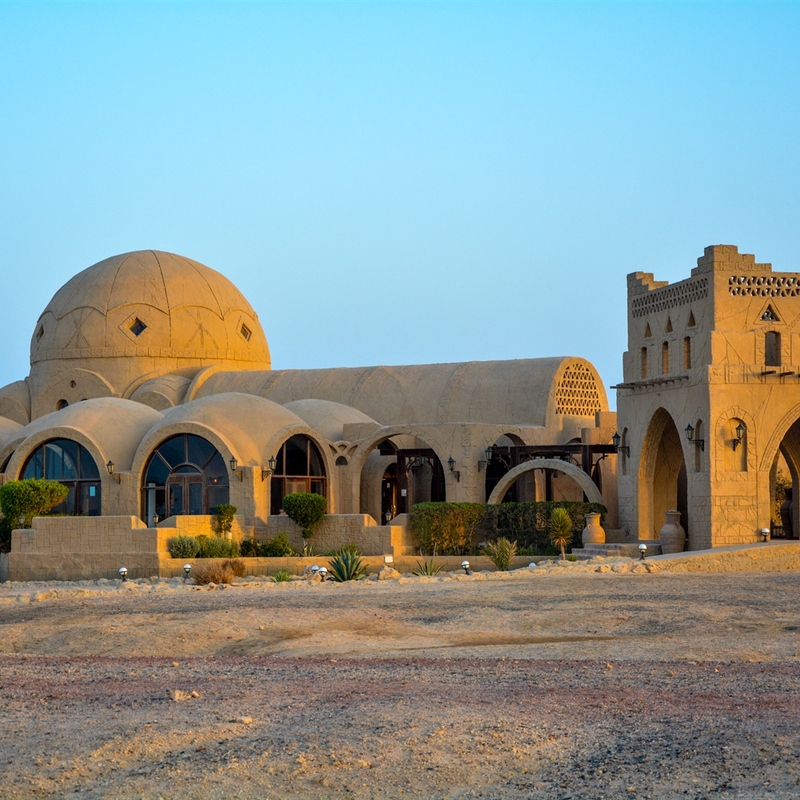 From Marsa Alam Airport the journey to Marsa Shagra takes approximately 30 minutes and from Hurghada airport the journey takes approximately 3 hours. 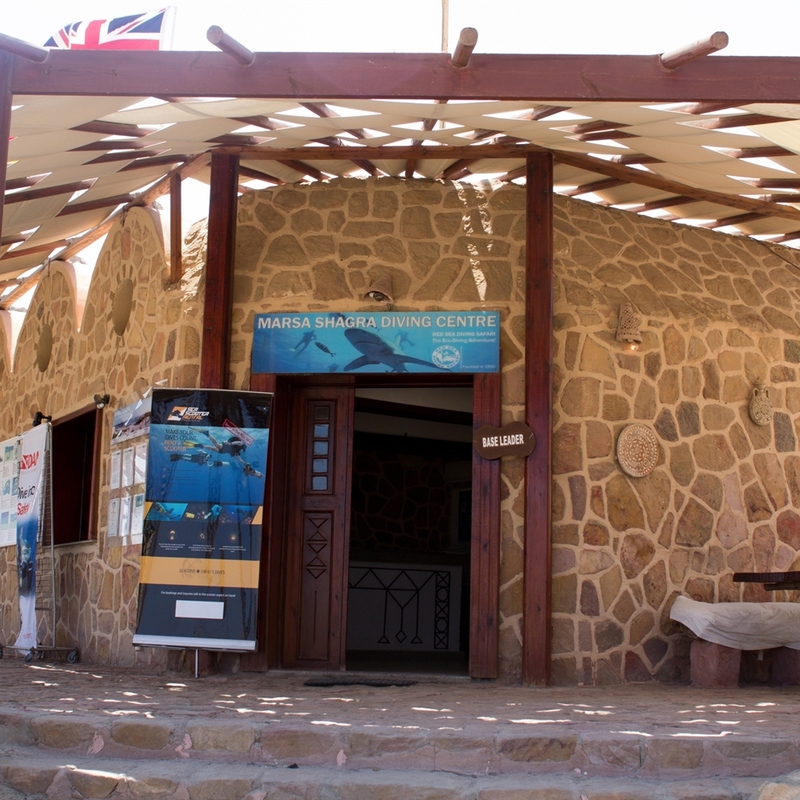 The Red Sea Diving Safari representative will meet you inside the airport with your VISA. Within your package we include unlimited house reef diving as well as 2 guided orientation dives on your first diving day, further excursions by truck, speed or daily boat are booked and paid for locally. If you prefer you can upgrade your package to include 10 guided dives from just £25 per person. 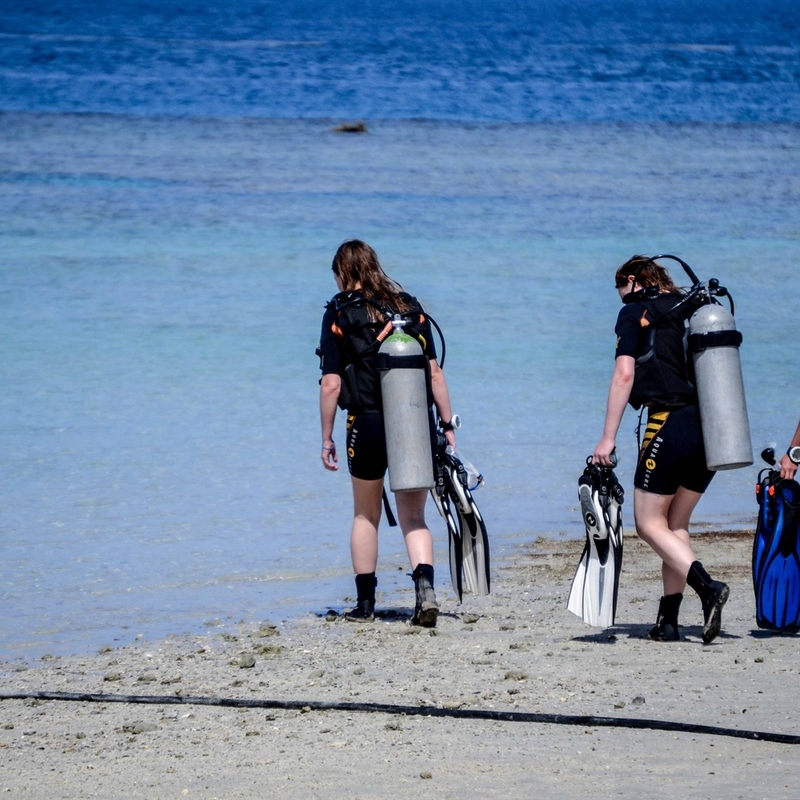 Your first dive will be an orientation dive on Marsa Shagra's house reef accompanied by a guide. 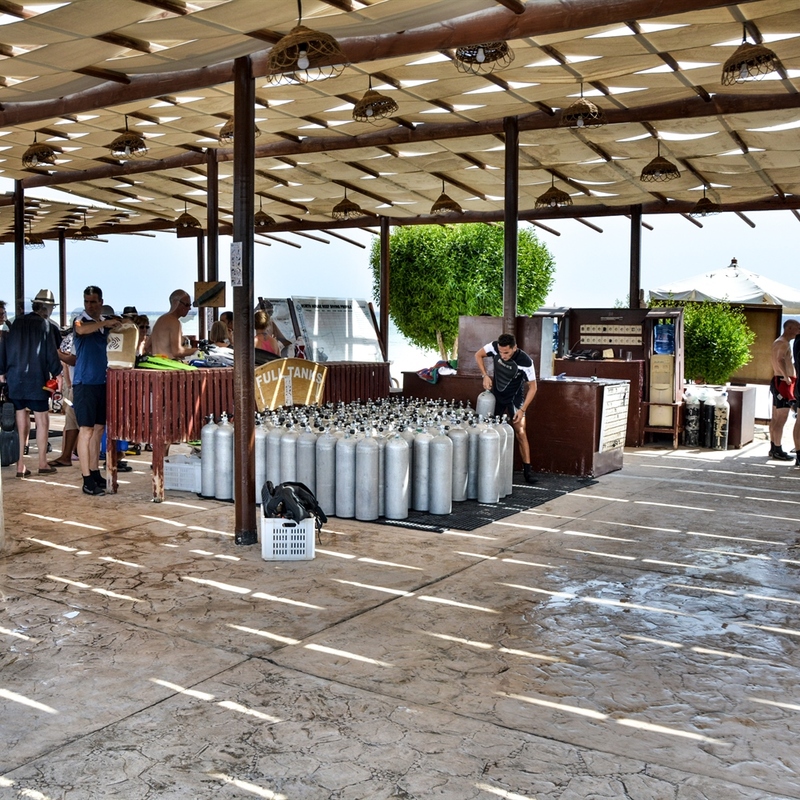 After this you are free to enjoy Marsa Shagra's unlimited diving set up where you have the freedom to dive in buddy pairs at your own pace and at the time of your choosing. With the waters edge just meters away from the dive shade you can get kitted up and go! Shagra is situated in front of a small bay (Marsa) with a sandy bottom. The dive centre is in front of this bay which is the base for Marsa Shagra's unlimited diving set up. Marsa Shagra bay has a superb house reef which is home to hundreds of marine life species and an excellent variety of soft and hard corals. The bay is shallow, starting from 1-10 metres in depth and slowly dropping as you reach the outside walls of 40-50m in depth. High performance speedboats are on standby at your request offering the option of up to 6 different dive patterns within the house reef. These dives are unguided which allows for a real sense of exploration and adventure. Shore Dives Upon arrival at the site your guide will give you a full briefing. Zone B & C dive sites plus full day excursions, including the opportunity to take a boat or RIB trip to Elphinstone and Shaab Samadai (Dolphin House), can be easily arranged and paid for on site. We have listed 150 holidays months for quick review. If you want to check prices across the Red Sea Diving Safari Resorts and all months of departure, please visit our availability page. Please note: Prices are from prices and final price may vary. We update our prices every few days as we sell out of seats we have on allocation. Once our allocation is sold out we will quote based on the next best airline price. Gatwick Departures to Marsa Alam only run November to March. Birmingham run year round. All other departure airports are priced on fight data 24 hours old so live pricing may vary when booking. Package prices include: Flights, Transfers, VISA & Meet and Greet Service, 7 Nights Full Board and Un-limited house reef diving at Shagra and Nakari and 4 rib boat dives per day at Wadi Lahami.